Vernon Stuart Collingwood, age 91 passed away peacefully with his family at his side in the morning hours of Tuesday, April 18, 2017. 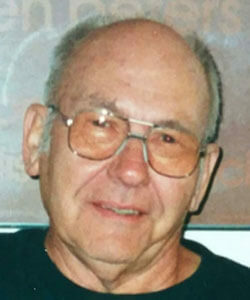 Stuie as he has commonly known was the beloved husband for 65 years to Rosemary (nee Yassanye); dear father of Robert (Cyndi), Timothy (Renee), Lance (Mary Lynn) and Jean; grandfather of Kendra (Kevin) Cozad, Megan (Floyd) Fields, Brianna (Golden) Merrill, Joshua (Noelle), Jaklyn (Zach) Hardwick, Tim (Beth) and Stuart; great-grandfather of 11. Mr. Collingwood was a World War II US Navy Veteran Submariner. A private service will take place at a later date at Ohio Western Reserve National Cemetery. I am so sorry for your loss. Love to all of your family!???? Big hugs to you all! I know he was a blessed man to have you all by his side! Much love and prayers!